The Lansing-Ishii Agreement, 1917, was a diplomatic note signed between the United States and the Empire of Japan on 2 November 1917 over their disputes with regard to China. It was intended to lessen the tension in the feuds between the U.S. and Japan over China. In the published text of the agreement, signed by United States secretary of state Robert Lansing and Japanese special envoy Ishii Kikujirō, both parties pledged to uphold the Open Door Policy in China, with respect to its territorial and administrative integrity. However, the United States government also acknowledged that Japan had "special interests" in China due to its geographic proximity, especially in those areas of China adjacent to Japanese territory, which was in effect, a contradiction to the Open Door Policy. In a secret protocol attached to the public Agreement, both parties agreed not to take advantage of the special opportunities presented by World War I to seek special rights or privileges in China at the expense of other nations allied in the war effort against Germany. At the time, the Lansing–Ishii Agreement was touted as evidence that Japan and the United States had laid to rest their increasingly acrimonious rivalry over China, and the Agreement was hailed as a landmark in Japan-United States relations. However, critics soon realized that the vagueness and differing possible interpretations of the agreement meant that nothing had really been decided after two months of talks. 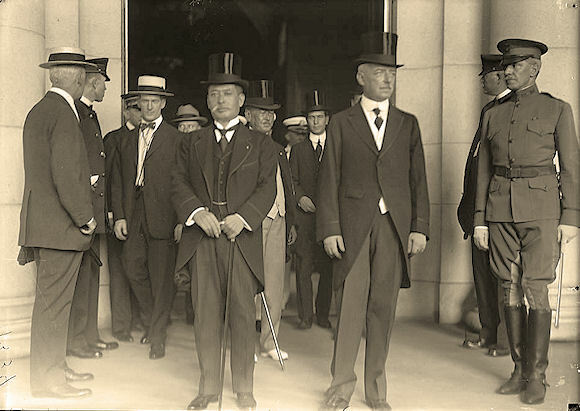 The Lansing–Ishii Agreement was abrogated in April 1923 in response to Japanese policy in China. 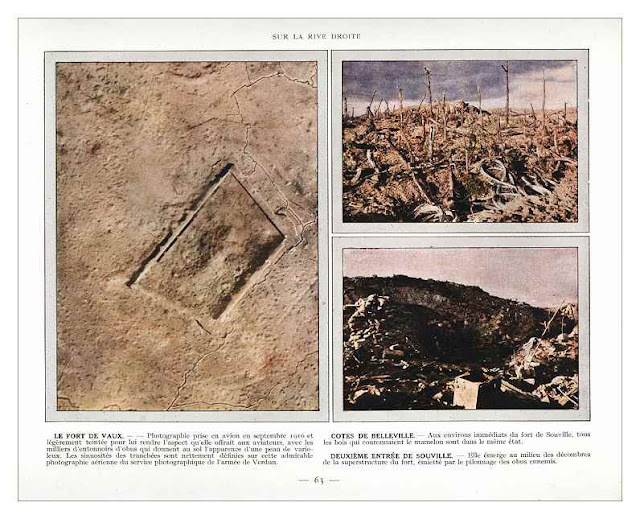 From the earliest days of that blazing month of August 1914, when the clash of nations began, Fort Vaux, plying with its questions the Woevre plain on the Thionville and Metz side, was awaiting on tenterhooks the results of the first collision. At night it saw the long glittering arms of the Verdun searchlights rake the skies above its head, scanning the stars for zeppelins or Taubes. Several regiments, marching past it, had taken up their station farther eastward, in front of Jeandelize or Conflans. The hours of waiting dragged on. It heard the firing of guns, but not from the quarter where it was keeping vigil. The sound was coming from Longwy, or perhaps from Longuyon. The storm, whirling along the Lorraine border, seemed to be swooping down upon the Ardennes. On 20 and 21 August the fort saw troops defiling past it, with laughter and song on their lips. They were marching toward Longuyon by the Ornes road. They knew nothing as yet of the rigours of this new war. With light hearts they went to it, as lovers go to a trysting place. The Third Army, massed at Verdun, was making for Virton. On the 22nd it had already come to grips with the Crown Prince’s Army. On the 25th, the garrison was cheered by a stroke of good fortune of which it was at once informed. A German motor-car, which was carrying the General Staff orders, while running along the Étain road, went astray over the distances, and on the evening of the 24th came into our lines and was there captured. Our command, into whose hands the enemy’s plans had so luckily fallen, gave orders for a surprise assault on the left flank of the 35th Division of the Landwehr and of the 16th Corps, which formed the left wing of the Crown Prince’s Army. The former, throwing down their rifles, fled as far as St. Privat, and the latter beat a hasty retreat to Bouvillers. It is possible that this Étain fight, a little-known episode of the first battles, checkmated a rush attack upon Verdun. Nevertheless it was necessary to give up the pursuit on the night of 25–26 August, in order to remain in close co-ordination with the movements of the neighbouring army and to pass along the left bank of the Meuse, leaving reserve divisions to guard the right bank on the line Ornes-Fromezey-Herméville. 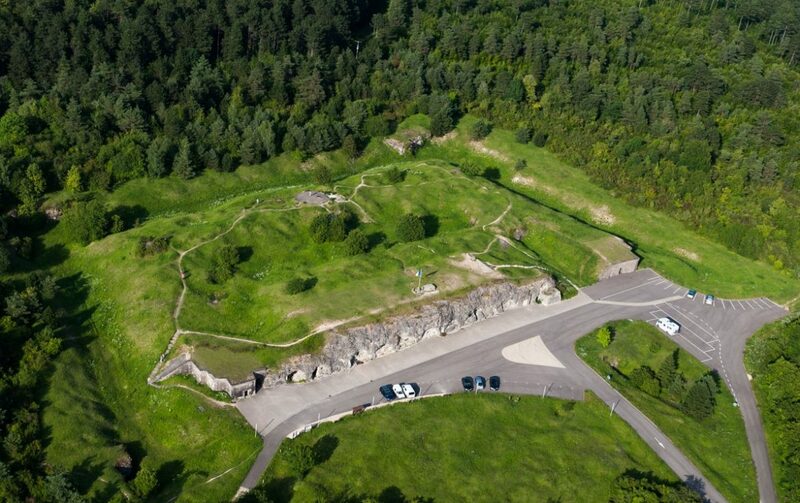 What Fort Vaux then saw go by at the foot of its slopes is a sight which those who witnessed it will never forget. In after years they will tell it to their children and their children’s children, that the memory may be kept green in each generation. Along the road from Étain to Verdun, seeking a haven of refuge in the old fortress which, more than once in the course of centuries, must have sheltered the inhabitants of the Meuse valley against the onrush of Germanic hordes, came a hurried throng of two-wheeled and four-wheeled vehicles, of cyclists wheeling the machines which they had no room to mount, of wheelbarrows, of pushcarts, of pedestrians, of dogs, of cattle. Each took with him his most treasured possessions or what he had hastily snatched up in his house. On the carriages many had piled mattresses, trunks, quilts, provisions, furniture, and on the top of all these were the old people, the sick, and the children. Yet these three classes could not always find room on the vehicles. Among those who trudged on foot were the blind and the halt, women carrying their babies, little ones with a doll or a bird-cage in their hands. Some of them, their legs being shaky or not long enough, were too weary to drag themselves along. Behind these terror-stricken fugitives, the villages were in flames. They turned night into day over the whole countryside. Little by little the fire drew nearer. Now it is Rouvre that flares up, now Étain. A woman stops by the roadside and sits down; she has bared her breast to suckle a round, rosy baby which already has crisp curls and looks like those7 infant Jesuses of wax that are placed in mangers at Christmastide. Around her is a group of three youngsters. A soldier comes up and questions her. He is already well on in years, a Territorial. The rapt look in his eyes, as he gazes at the children, is so tender that one feels he must have left a similar brood of his own at home. “How pretty they are!” His “they” and hers are not the same, but his meaning is not lost on her. “One is missing,” says the woman. And she begins to cry. The child has had its fill. The group goes on again. This is the new war, the war of frightfulness preached by Bernhardi. There was an epoch when truces were patched up for burying the dead and picking up the wounded. There was an epoch when a certain war-time chivalry held sway, to protect the weak and the innocent. That period was the barbarous Middle Ages. But civilization and culture came into being, and we now have war without pity,8 without quarter. One of the two opponents, tearing up the scraps of paper which regulate the treaties and the duties of nations, turning its plighted word into a sham, and crushing the innocent and the weak, has compelled the other to put him into a strait-waistcoat, as if he were a madman. It is a war that opens unbridgeable gulfs and leaves behind it indelible memories. It is a war of Hell, which demands the sanction of God. Fort Vaux, from its hilltop, saw all this. It felt that its own stones were less hard than the hearts of the men who had flooded the earth with this torrent of suffering. At last the procession came to an end. The road now resembled one of those ancient river-beds which leave a white track amid the pale foliage of the willows. An important personage, no less than the Governor of Verdun himself, came to examine its resources, to look into its physical and moral condition, to test its strength. 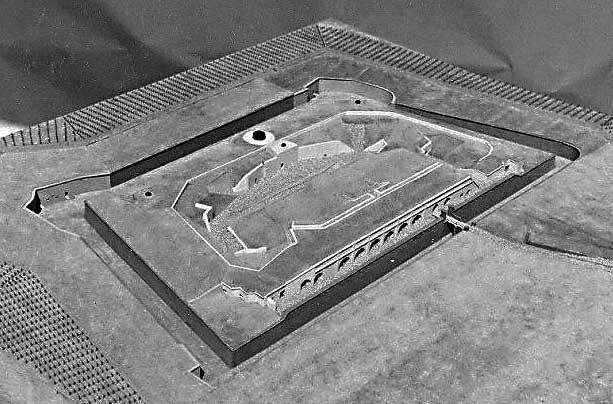 With such questions as these he visited the observing stations, the transverse galleries, the casemates, the turret, the armoury, the provision stores, the cisterns, and inspected the garrison. He had already come once before, at the beginning of August. This second visit foreboded an early attack. The enemy was not far off: he was known to be at Étain, at Billy-sous-Mangiennes, at Romagne-sous-les-Côtes, not in great masses but in small detachments. From the north, he was passing above Verdun and turning off to the Argonne. 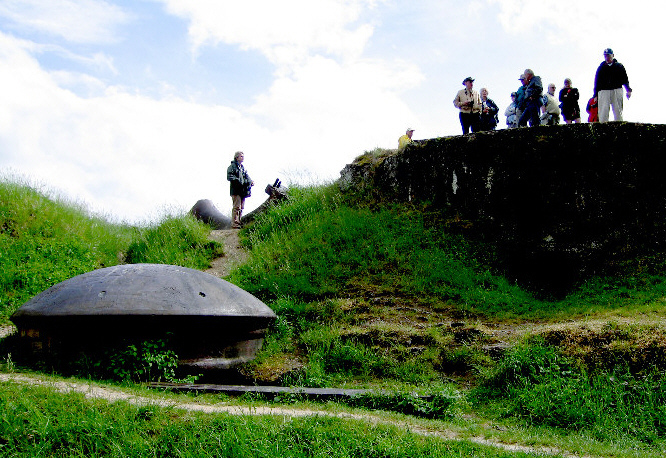 Verdun, well defended, served the French Army as a pivotal point for the immortal struggle of the Marne. One of the neutral historians of the war, Gottlov Egelhaaf (quoted by M. Hanotaux), has written: “If the Crown Princes of Bavaria and Prussia had been in a position to seize Verdun in August-September 1914, and accordingly to force the line of the Meuse, the German armies would have burst upon Paris at one fell swoop. The two Princes, however, were held up at Verdun, and thus the German supreme command was forced to take the decision of leading back the right wing of their army. Verdun could not be captured, and for this reason it seemed essential to change the plan of campaign.” A very lame explanation of our victory on the Marne, but one that at least emphasizes the importance of the part played by Verdun in September 1914. Fate decreed that Verdun should twice attract and twice wear out or shatter the German forces. Only by hearing the roar of the guns could Fort Vaux follow the battle fought on the left bank of the Meuse, before Rambercourt-aux-Pots, Beauzée, La Vaux-Marie. From the roar of the guns it could convince itself of the enemy’s retreat, of his withdrawal to the north. Suddenly, however, on 17 September, it hears the guns farther to the south. The enemy hurls himself at Hattonchâtel and the Meuse Heights, bombards the Roman camp above St. Mihiel, fights in the barracks of Chauvoncourt. He has not yet abandoned the quarry that he covets. After trying to invest Verdun on the left bank, he returns by way of the right bank, but the front is fixed at Spada, Lamorville, and Combres. It is fixed at three and a half to five miles in front of Fort Vaux on the line Trésauvaux-Boinville-Fromezey-Ornes-Caures Wood. On 18 February 1915, a red-letter day, the fort is pounded with 420mm shells. Douaumont has been favoured with some on the 15th and 17th, and it was only right that Vaux should follow Douaumont. The fort examines its wounds and is happy. And it will rejoice exceedingly to learn next day that the range of that famous 420mm battery has been found, that it has been shelled in its turn and destroyed. The giants have been silenced, and that promptly. April and May were months of hope. Would they bring victory with the spring? The guns thundered daily at Marcheville and at Les Éparges, which had been gained. The Woevre was smoking as if weeds had been heaped up there for burning. Then the cannonade slackened off. Decidedly the war would be a long one against an enemy who stuck to our countryside like a leech. It needed patience, staying-power, will, organization, munitions. All these would be forthcoming. So the troops got accustomed to war as well as to garrison life. The Territorials billeted in the villages of Vaux and Damloup, when they were off duty, played games of chance in the street or used the cemetery as a place for sleeping. They helped the country folk in their haymaking. They looked for mushrooms or strawberries in the woods of Vaux-Chapître and Hardaumont, after first looking for lilies of the valley. In the trenches their life, so full of thrills the previous winter, glided along in a calm that was no doubt relative—but what is there that is not relative?—and in monotony. On the summer evenings, on the escarp of the fort, the little garrison sat down with legs dangling, and watched night rising from the Woevre plain. Now and then a distant rocket would end in a shower of stars. The fort, now shrunken, became enveloped in the mists of winter. It heard less and less of the guns. Its diminished garrison grew bored in the almost deserted corridors. The news which came from the rear contained mysterious hints of a great Allied offensive which was slowly preparing and would develop when the time was ripe, perhaps not before the summer of 1916: England would methodically complete her gigantic new military machine, and Russia would need time to heal the wounds inflicted on her during the 1915 campaign. It is flattering, when one lives on the border of the Woevre, to have such distant and important friends, even if they need a certain amount of time for settling their affairs. Things were moving indeed in the forest of Spincourt and in that of Mangiennes. Our aviators must have some inkling of it, for they make more and more frequent flights. But the soil is ill-fitted for observation, with its countless dips and its undergrowth. Even where there are no leaves, the brushwood defends itself against aerial photographers. Information comes that the railway of Spincourt, Muzeray, Billy-sous-Mangiennes, is working in unaccustomed fashion. It seems that the big calibre guns have been detrained. We are assured that new German corps have been brought into the district, among them the 3rd, which is returning from Serbia. Finally, the belfries of Rouvres, Mangiennes, Grémilly, Foameix—how had they been spared till then?—were overthrown by the Germans: no doubt they might have served as guiding marks for our artillery! Whence come these vague rumours and these definite reports? There is no chance of finding out for certain. The soldiers who come back from Verdun bring them back and retail them. Silence is not a French virtue. There is uneasiness in the air. Yet the weather is so appalling—squalls of wind and snowstorms—that the attack seems unlikely, or at any rate postponed. On 20 February the weather takes a turn for the better. On the 21st, at seven o’clock in the morning, the first shell falls on Verdun, near the cathedral. The greatest battle of the greatest war is beginning. The title of this book comes from the opening line of a letter written by General John J. Pershing at the end of World War I to his troops congratulating them and thanking them for their service. A copy of the letter was given to each soldier serving with the American Expeditionary Forces. Before discussing this book, we should spend a minute on the author. Mr. Carroll is not a historian of World War I, nor is he a specialist on military history. He is a writer who has a passion for collecting war correspondence. In 1998 he started the Legacy Project, to collect and preserve wartime correspondence to and from American servicemen. Within two years, he had gathered over 70,000 letters from many of America's wars, going all the way back to the Revolution. In addition to My Fellow Soldiers, he has edited and written several best-selling books and worked on video projects all based on the wartime correspondence he had collected. In 2013 he donated the archives of the Legacy Project to Chapman University, and he helped create the Center for American War Letters at that institution. He is the director of the Center. As the full title implies, the central character of the book is General John Pershing. He is an iconic figure of America's participation in the war; six foot tall, ramrod straight, of jutting jaw, barrel chest, and stern visage, he is the epitome of what a World War I general should look like. Of all the pictures I have seen of World War I generals, none compare in martial appearance to Pershing, whether he was photographed standing, marching, or riding a horse. Haig was always slouching, Pétain was too casual, and Foch, too diminutive and bowlegged. Perhaps no army in American history other than the Continental Army of George Washington was left so much to the devices of its commanding general. The AEF was Pershing's army, and he took full ownership, protecting it not only from the designs of his French and British colleagues who wanted to appropriate it but also pushing back against his fellow American generals such as Peyton March, who felt the high command in Washington should also have a say in how the AEF was run. While Pershing was known as a stern and sometimes brutal taskmaster, the author is able to show a different side of Pershing from his letters to family and loved ones. Pershing was a tender and caring father to his son, Warren, a sometimes thoughtful and caring man to his friends, and a passionate suitor to his longtime mistress, Micheline Resco. Above all, this correspondence shows that Pershing struggled with the central tragic event of his life, the house fire that killed his wife and three young daughters before the war that left him with a grief that sometimes nearly overwhelmed him in times of stress. In addition to Pershing, the author includes the experiences of numerous other Americans, many famous and well known such as Harry Truman, Douglas MacArthur, George Marshall, George Patton, Eddie Rickenbacker, Quentin Roosevelt, and Alvin York, to name a few. 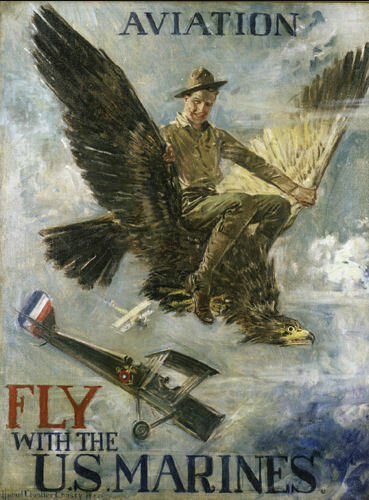 My favorite of these is narrative from Eddie Rickenbacker, who witnessed the end of the war at 11 A.M. on 11 November from the cockpit of his airplane, as he flew high above the trenches at that remarkable moment. Stories of the not so famous are included in this book as well. 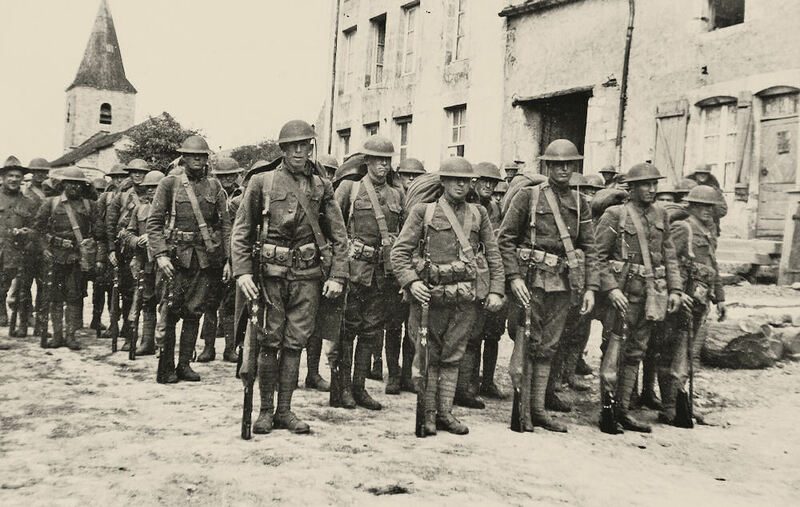 Many Americans began fighting for the French long before the U.S. joined the war, and their experiences are included. 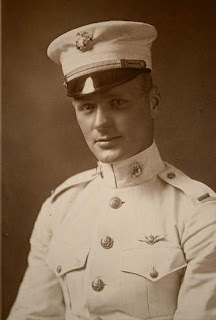 Kiffin Rockwell, an American who volunteered for the French Foreign Legion in 1914, later became the first U.S. pilot in the Layfette Escadrille to shoot down a German plane. 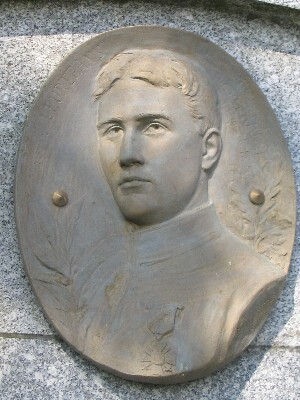 His friend Victor Chapman became the first American pilot to die in the war. Eugene Bullard was the son of a slave and traveled to Europe to escape the Jim Crow world of his native Georgia. He became a solider in the French Army and was seriously wounded at Verdun. From there he became one of the few black combat pilots of the war. We [also] meet organizers and directors of American volunteer ambulance services and some of the female drivers. We meet nurses and doctors and war correspondents through the impressions they sent home in their letters, diaries, and other writings. My Fellow Soldiers, [though,] is definitely an instance of looking at the trees instead of the forest. While I found it a very good read, as I said earlier, the author is not a specialist on World War I or on military history in general. His focus is mainly on individuals and their experiences, and this means that sometimes his explanations of the larger flow of events come off as a little brief, simplistic, and sometimes dated. He is not an expert on equipment used in the war or the tactics followed by the troops. This has led to some errors such as talking about a model M-1917 Enfield machine gun and a Browning rifle. He obviously got the two mixed up. In one instance, he confuses the magazine of a rifle with the cartridges that go into it. You need to understand this and overlook it as you savor the experiences of the participants in the Great War in their own words. On 30 May 1915, 18-year-old Aspirant (cadet officer) Augustin Leuregans, 236th R.I., was ordered to lead an attack against an intensely fortified German complex north of Arras known as the "Labyrinth." His company was composed of reactivated reservists, all over 40 years of age. The unit was pinned down in an underground bunker and was reluctant to attack. He told his men, "Come, my old dads, you're not going to let your child die alone." He was killed almost immediately as the men followed him out. The Labyrinth and nearby Neuville-St. Vaast did not fall to the French until 17 June 1915. A moving ceremony was conducted at his memorial on the 100th anniversary of his death. 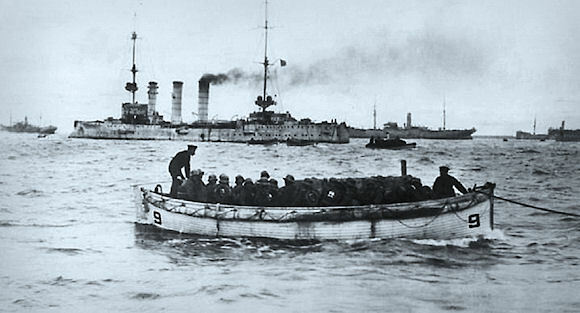 In the fall of 1917, the German Army and Navy conducted an amphibious assault in the Baltic Sea. The operation was code named Albion. The goal of the operation was ambitious—to convince Russia to sue for peace by seizing several islands protecting the Gulf of Riga. Seizure of these islands would pose a direct threat to the Russian capital of Petrograd. The Germans had no significant experience with amphibious operations, nor did they have any doctrine for their conduct. In spite of this, the operation was planned in approximately a month, and the German landings and subsequent operations ashore were a tremendous success. The Germans put the commander of the Eighth Army, General Oskar von Hutier, in charge of organizing the operation. 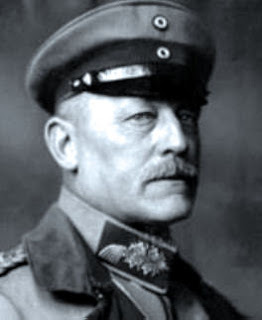 Von Hutier was an extremely shrewd general best known to history for his later involvement in the 1918 offensives on the Western Front. He made the commander of the landing force and the commander of the Special Fleet coequals for planning. If there were any disagreements they could not work out themselves, they could then seek out the general for a decision. Operation Albion was extremely successful. The Germans secured the islands of Ösel, Moon, and Dagö in little more than a week. For an operation of its size, the booty was immense. The Germans captured more than 20,000 Russian soldiers along with machine guns, artillery, and other impedimenta. The Russian Army had been dealt a blow and the troops’ morale and confidence in their government reached its nadir. The Bolshevik Revolution occurred only two weeks after the conclusion of Albion. Although negotiations with the Russians would continue into early 1918, it soon became clear that the Russians wanted an end to the war. 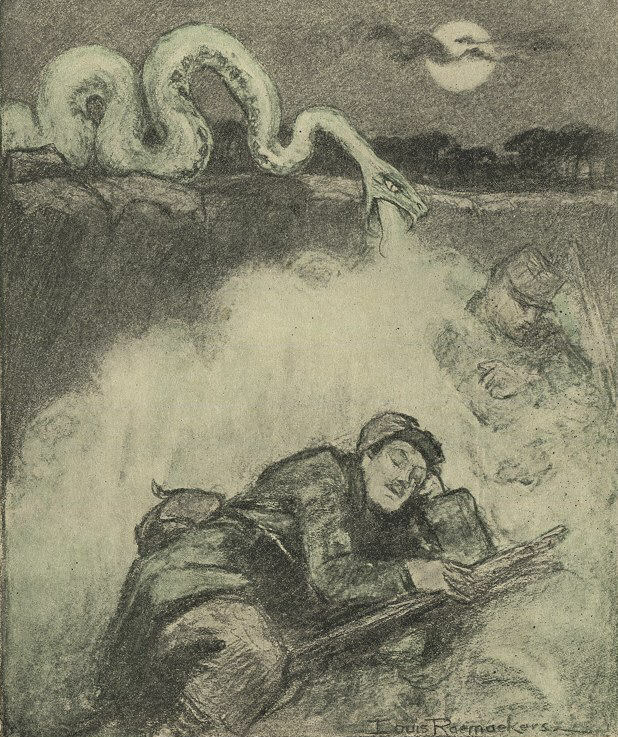 The Germans began to transfer troops to the Western Front. By 1914 the Guinness Brewery founded in Dublin, Ireland, in 1759, had become the world's largest. The total number of staff and employees was 3,650, and taking into account the families of the clerks and workmen, about 11,000 people were dependent on the brewery for their livelihood. On the outbreak of war in 1914, employees were actively encouraged to join the British forces. The company ensured that sufficient numbers were retained to enable brewing operations to continue while remaining amenable to petitions to enlist from staff. Over 800 employees served in the British forces in World War One, serving on land, on sea, and in the air all over the world. These men came from all departments in the brewery from top management to laborers. Men employed at Guinness regional stores in Ireland and England also volunteered. Brewery employees served mainly with the Royal Irish Fusiliers, the Royal Dublin Fusiliers, the Irish Guards, the Royal Army Medical Corps, the Royal Irish Regiment. Several employees were awarded decorations such as the Military Medal, the Military Cross, the Croix de Guerre, and the Distinguished Conduct Medal. The company paid half wages to the soldiers' families at home and their jobs were guaranteed when they returned. Special "war bonuses" were also paid by the company. A War Gifts Committee was established in the brewery to dispatch parcels to men in active service. In December 1920, a Roll of Honour was produced by the company to "preserve, in a suitable form, a record of those...who gave their services—and in many instances their lives—for the defence of the Empire". Out the 800 men who left the company, 103 did not return. 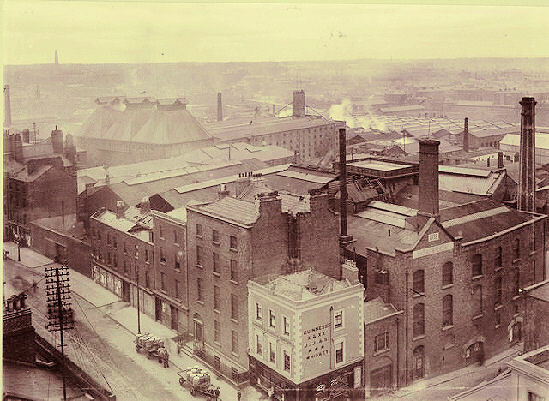 The war also affected the daily operations of the brewery in Dublin. The company lent motor vehicles to military authorities "in case of national emergency," and horses and motor vehicles were sold to the government. The company lost her first steamship, S.S. W.M. Barkley, during the war. The ship was acquired in 1913 and used for carrying barrels of Guinness stout to ports in England. On 12 October 1917 the W.M. Barkley was torpedoed and sunk off the Kish Lighthouse in the Irish Sea. Five Guinness crewmen perished and seven crew were rescued. 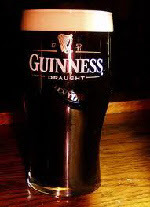 The war also had an effect on the supply of Guinness stout. Barley growing was restricted by the government as land previously used to grow barley was increasingly required for growing foodstuffs. This resulted in a reduced availability of one of the key ingredients in Guinness stout. The government also laid down restrictions on the amount of beer that the brewery was allowed to produce, which directly affected the strength of the beer brewed. Restrictions on quantities were not lifted until 1919, and restrictions on the strength of beer were not lifted until 1921. Although it is popularly believed that the German Army was the first to use gas in the Great War, the French fired a tear gas agent (ethyl bromoacetate) against the Germans in the first month of the war. The German Army, however, had done more serious prewar research and would soon begin using their chemical weapons. Eventually they would be the war's first combatant to use gas on a scale large enough to potentially influence the outcome of a battle. As early as October 1914 at Neuve Chapelle the Germans used a sneeze-inducing irritant against the French. Better known is their effort on the Eastern Front at Bolimov on 31 January 1915 when they fired shells containing tear gas against the Russians. The experiment failed as the chemical, which was in liquid form in the shells, failed to vaporize in the freezing weather. Further attempts were made on the Western Front with improved tear gas, but German chemical warfare was receiving a tremendous boost due to the contributions of one of the world's most distinguished chemists and would soon take a dramatically different course. In December 1914, the director of the Kaiser Wilhelm Institute for Physical Chemistry and soon-to-be recipient of the Nobel Prize, Fritz Haber, pointed out to the army that chlorine gas, a powerful respiratory irritant, would be a much more effective weapon. He was subsequently appointed chief of the chemical section of the war ministry and soon took over leadership of the chlorine project. Haber would eventually emerge as Germany's chief authority on chemical warfare matters. Due to his impressive credentials, he was able to recruit a scientific "all-star" team to support Germany's gas warfare that included other future Nobel Prize laureates James Franck, Gustav Hertz, and Otto Hahn. In a January conference agreement was reached that the first trial for chlorine gas would be in Flanders on the southeastern side of the Ypres Salient. The deployment was subsequently shifted to the northern boundary of the salient between Steenstraete and Poelcappelle. The gas attack, with Haber present in the field, was scheduled for 15 April but was delayed a week because of a complete lack of wind. The debut of the poisonous chlorine gas would come on 22 April 1915 in the action known today as the Second Battle of Ypres. It would initially target French Territorial and Algerian troops with Canadian troops on their right flank. Further use of the gas followed during the fighting around Ypres. Soon all the combatants were exploring gas warfare as a legitimate tactic. Georgy Zhukov, one of the greatest generals of the 20th century, began his military career—like so many others—started his military career in the Great War. After his early education in a parochial school, Zhukov was sent to work in a furrier's shop, but he was drafted in August 1915, and from that time army service became the essence of his life. He was singled out for NCO training and a year after his induction was sent to Moldova for frontline service. En route his unit took its first casualties when a German plane bombed their column. 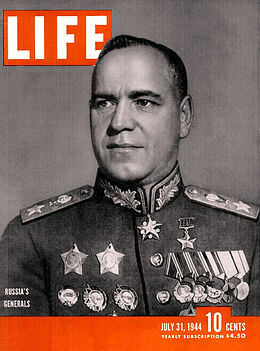 Shortly after arriving at the front, Zhukov earned his first decoration, for capturing a German officer. In October his was injured when an artillery detonation blew him off his horse. He would later receive a second St. George's Cross for the action. A literally shell-shocked Zhukov was evacuated to Kharkov for recuperation. Returning to his unit as a decorated NCO with combat experience he was already a highly respected man in his unit. Consequently, after the February 1917 revolution he was elected to head his squadron's soldiers' committee. However—in supporting the Bolsheviks—he clashed with the counterrevolutionary faction of the regiment's committee and had to go into hiding. He returned home, caught typhus, and waited to see how things played out. His moment of decision came in September 1918, when Lenin's government announced a new conscription program for the Red Army. Zhukov chose to report for service. From 1918, Zhukov was in the Red Army, fighting the White Army and suppressing the revolt in Tambov province. In the 1920s and '30s, he commanded a cavalry squadron, and later a regiment. His military career was swift and successful. While Zhukov originally rose through the ranks of the cavalry, the Red Army underwent a period of great intellectual activity during the interwar period. By the mid-1930s, Soviet military theorists began to explore new concepts of successive or "deep" operations that promised to avoid the positional warfare of World War One. 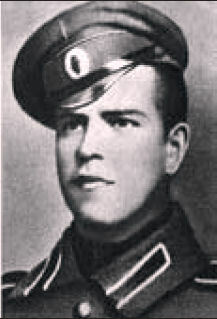 During this period, Zhukov became an early advocate of massed tank formations and was extremely well placed to participate in this "renaissance." When Stalin launched his purge of the Red Army in 1937, Zhukov was a corps commander. Though interrogated at length, he survived. In 1939, Zhukov, then a deputy military district commander, was summoned to Moscow. Zhukov was relieved to find that he had been ordered to proceed to Khalkin Gol in Mongolia, where Soviet troops were facing a Japanese incursion across the border. There he would win an overwhelmingly decisive victory that positioned him for top leadership in Stalin's military machine. 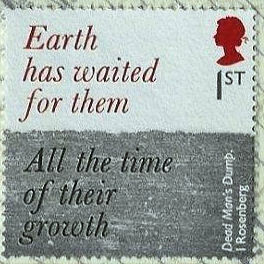 On 31 July, the Royal Mail unveiled their 1917 Centennial Issue of six stamps. Collectors can purchase them online. 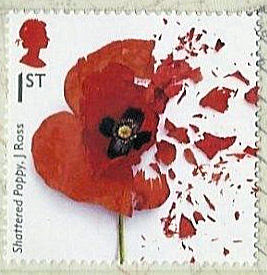 Shattered Poppy, by John Ross, is a contemporary photographic image. 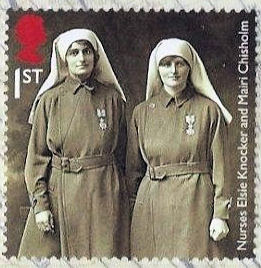 Nicknamed the “Madonnas of Pervyse,” Elsie Knocker and Mairi Chisholm served as ambulance drivers and nurses on the front line at Pervyse, Belgium, during the war, receiving several medals for their bravery and substantial press attention at the time. 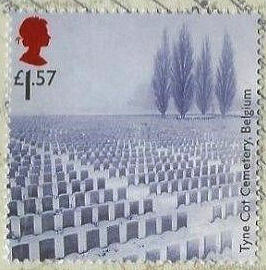 Tyne Cot Cemetery in Belgium is the largest of the Commonwealth War Graves Commissions cemeteries, with 11,961 graves. There are also 35,000 names listed on its memorial walls of men whose burial site is unknown. Isaac Rosenberg (1890–1918) was killed in action. The lines are from Rosenberg’s poem "Dead Man’s Dump." Before the war, English artist Edward Wadsworth (1889–1949) was part of the short-lived Vorticism art movement that blended Cubism and Futurism. 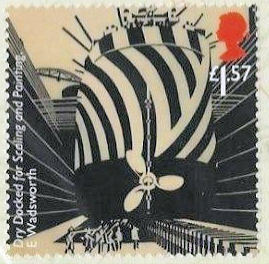 The stamp shows an example of dazzle camouflage from Wadsworth’s 1918 woodcut "Dry Docked for Scaling and Painting". Private Lemuel Thomas Rees of the South Wales Borderers, 6th Battalion, was seriously wounded by shrapnel from a German shell in the battle, but his life was saved by the small Bible in his breast pocket. After convalescing, Rees returned to battle. He died on 13 November 1918 (two days after the Armistice) due to bronchial pneumonia and the effects of gas attacks. Ned Crawford was a reluctant 31-year-old draftee in April 1918. He acquiesced only because he feared going to jail if he resisted; in fact, he probably came close to declaring himself a conscientious objector. But Crawford went into the army as a private in Company C, 316th Field Signal Battalion (FSB), part of the 91st Division. And he made a fine, if unwilling, soldier. Crawford was born in rural Ohio and was one of three children raised by a single mother. He left school in the sixth grade and began to work to help support his family. By 1918 he was a telephone lineman and switchboard installer living and working with his best friend, Bill Marshall, in Hood River, OR. This book consists of 30 letters written by Crawford while serving in France. As the title suggests, most of the letters were addressed to "My Dear People." This refers to Crawford's Oregon friends but mostly to Bill Marshall. Crawford's daughter, Constance Crawford, wrote a commentary for each letter. Christopher McManus wrote a history of the 91st Division, with emphasis on the 316th FSB, and snippets are interspersed among the letters. 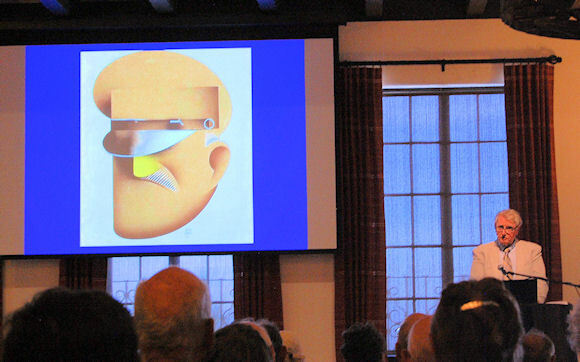 Having left school after the sixth grade, Crawford was largely self-educated. 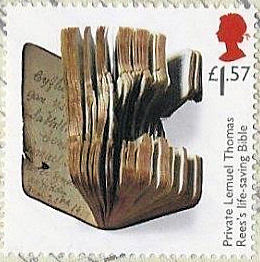 His extensive reading is certainly evident in the well-written and articulate letters that are reproduced here. His letters do not reveal a great deal about the daily military duties of a member of a field signal battalion. However, they do convey a sense of what ordinary soldiers had to endure during the war. There is some "shop talk" in the letters, but very often Crawford needles Marshall about his several girlfriends, or he reminisced about extended camping trips the two friends had taken. Of course commentary about food and shelter are also in abundance. 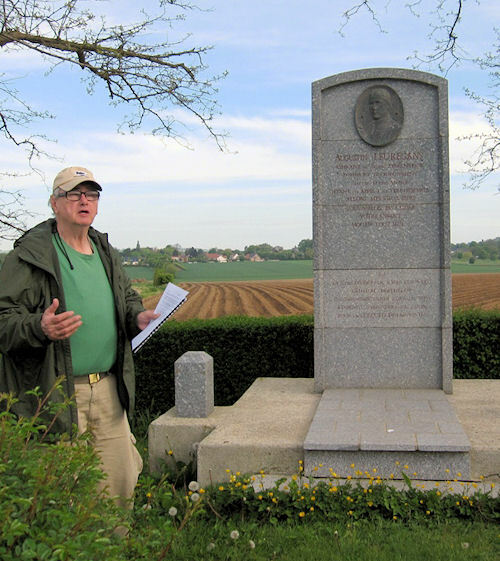 The letters begin in late July 1918, when the 91st Division arrived in France. The division spent some time in training before taking part in the Meuse-Argonne Offensive in late September and early October. 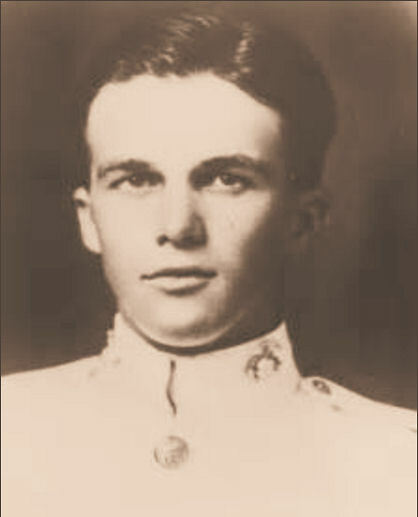 On 2 October, Crawford was on duty in part of a small shack being used as the division's command post when an artillery shell struck, killing two men and injuring five. The shack had to be abandoned because of heavy fire, but it was crucial that telephonic communications be maintained until a new switchboard could be established. 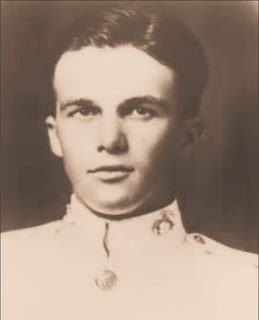 Crawford volunteered to remain on duty, and for two hours he remained, alone and under fire, keeping telephone connections operating. The commander of the 316th FSB, Lt. Col. C. L. Wyman, personally witnessed this action, and he provides a wonderful description. The division commander, Maj. Gen. William H. Johnston, also observed Crawford's coolness, and he ordered Wyman to recommend Crawford for the award of the Distinguished Service Cross (DSC), which Crawford received in early November. In late October the division moved to Belgium, where they participated in fighting in Flanders (where Crawford's sarcasm is quickly evident: "I'm getting so I like this mud on my bread" [p. 116]) until the Armistice. In late November, Crawford reveals his impatience to get home in a typically humorous way: "If I am not en route before this letter reaches you I'll surely have exploded. But write anyhow. I'll leave my address with the sgt. before I explode" (p. 159). Crawford often refers to French and Belgian civilians with a mixture of pity and disgust, and he was not immune from the racial and nationalistic prejudices of the day. He often comments on the French civilian communications system, which he usually regards with disdain: "The [switchboard] men were here today—a couple of old codgers with a collection of tools and repairs about like they used in the intercom on the Ark" (p. 68). And you don't know the worst—only yesterday I was made a 1st class private. I figured that I am about the lowest form of animal life. Of course it hurts a little that I should find my valuable months absolutely wasted but the worst hurt is the prospect of an indefinite time put in at so loathsome of life (p. 37). Despite his antipathy to all things military, Crawford took some pride in his award of the DSC, at least for the period when he was in the army. The last two lines in his final letter, written more than four months after the Armistice, while he and everyone else was fighting boredom and anxious to go home, reveal his sarcastic wit and his pride: "Well, figuring time as a geologist does I think we will be with you soon. P.S. I'm getting pretty chesty lately and have worn the D.S.C. about my work a good deal" (p. 221). Several maps enhance My Dear People, and 21 photographs of Ned and his surroundings help put the letters in perspective. A list of sources consulted completes the supporting matter. Constance Crawford's commentaries are informative and articulate. In these she reveals more of her father's character and beliefs. One can easily tell that preparing this book was for her a revealing labor of love. This is a fine collection of letters written by an articulate, if reluctant, U.S. soldier. It is hoped that others will follow Ms. Crawford's lead and publish more firsthand accounts of a war fought so long ago. 17 October 1918: two raids were carried out by the Force. 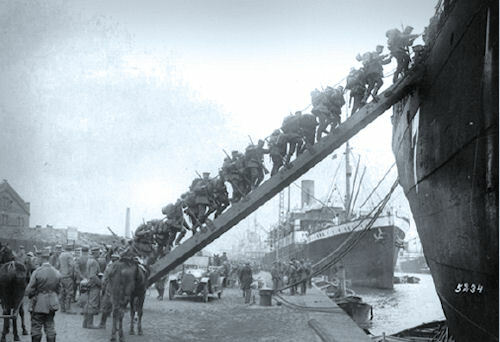 In the morning the railway yards at Steenbrugge were bombed with good results by a formation of five Marine bombers led by Major Roben of Squadron "C." An afternoon raid was directed on Ostend Harbor and Zeebrugge Mole. 18 October 1918: an impressive raid was made by a formation of seven Marine bombers led by Captain Wright of Squadron "C." The objectives were Eecloo and Leopold Canal. Despite heavy anti-aircraft fire, the Marine flyers came down to height of 3000 feet and dropped bombs on the railway yards. Several direct hits were observed. It was ascertained from the Burgomeister of the town that a direct hit was made on a troop train resulting in the deaths of 60 enemy officers and 300 enlisted men. About three miles southeast of Eecloo was a German aerodrome and some 12 enemy aircraft, presumably Gothas, were sighted on the field. Bombs were dropped on this aerodrome, but it was not possible to ascertain the damage. Enemy Fokker D-VIIs were encountered over the railway yards at Sinde, which was also bombed on the same day. 19 October 1918: a raid on Melle was abortive because of bad weather conditions, although bombs were dropped. Hansbeke was also raided. No damage was reported. Due to the dense fog, the six aircraft became separated, temporarily lost. Marine Aircraft Nos. E-1, E-3, and E-5 with pilots Second Lieutenants John P. McMurren, August Koerbling, both of Squadron "A", and John F. Gibbs of Squadron "B", were among the participants in this raid. We received our orders to proceed to Melle, a railroad center near Ghent, and to bomb the place. We left the aerodrome, nine planes in all, at 8:40 A.M. and started toward the lines gaining altitude as we flew. When we crossed the lines at an altitude of about 11,000 feet we ran into a thick fog bank and were forced to descend to about 7,000 feet. The five ships in the rear of our formation left us and turned back and thus leaving but four of us to proceed on our mission. We flew in a diamond formation with Captain Day leading. Captain Presley was on the right, I was on the left and Lieutenant H.C. Norman was in the rear corner of the diamond. The fog was very dense and we had much difficulty seeing the earth a great part of the time and we used our compass for direction. Near Ghent we ran into a heavy archie barrage which first burst above us, then below us, and soon when the correct range was obtained the shooting was very accurate and the bursting shells came so close that they fairly seemed to bounce off our wings, engine and tail. They burst so close to my tail that my machine was thrown about as if I were flying in a heavy windstorm. It was very difficult to stick to the formation and we dared not separate because we would be lost to one another in the fog and thus be an easy mark for the Huns who fly in droves and not singly. Indeed I feared that I would run my leader down and still I stuck to the formation as did the others. Suddenly three Huns darted out of the haze in the rear and firing at Norman, came right on after me. Two were below and one behind. I banked the machine to give my observer a chance at them and then closed in behind my own leader. The Huns did not remain long, however, because of the dense fog and the fire from their archie. We dropped our bombs on the railroad and then the formation became scattered. An official Belgian report states that Lieutenant Norman was attacked by seven Hun planes and brought down. His machine crashed to the earth near the Bruges-Ghent canal on our side of the lines and both Lieutenant Norman and Lieutenant Taylor were killed. 27 October 1918: a six-plane raid was flown against the railway junctions and yards at Lokeren. During this activity Marine Aircraft No. D-11, flown by Second Lieutenants Frank Nelms and John F. Gibbs of Squadron "B", was struck by anti-aircraft fire and made a forced landing in Holland and were interned there. A second raid was flown on this same date against Ghent by a five-plane formation from Squadron "B." Owing to the success of the Second Belgium offensive and the retreat of the Germans, the aerodromes at Oye and La Fresne became so far behind the lines that it was necessary to establish an advanced aerodrome. An abandoned German aerodrome at Knesselaere in Belgium was chosen on 26 October 1918, and Major McIlvain was placed in command. This interrupted flights for several days, while Squadron "B" was moved to the forward field. From here the Marine squadrons managed to carry on several more operations before the Armistice, the 11th of November 1918. As a wartime Force its history ends here. 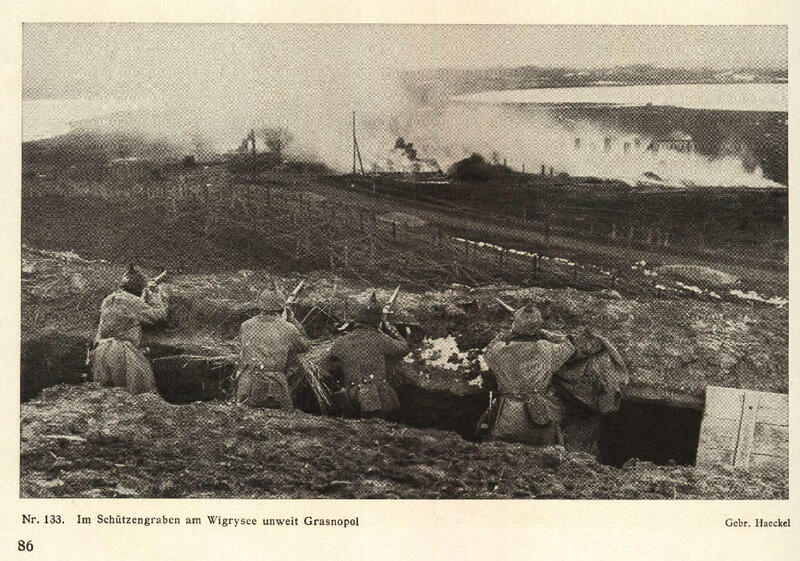 To sum up, the Force participated in the Ypres-Lys offensive and the first and second Belgian offensives. The Marine aviators made their combat record in a period of only three months—from 9 August to 11 November 1918. Figures are a cold but not inaccurate means of measuring achievements. 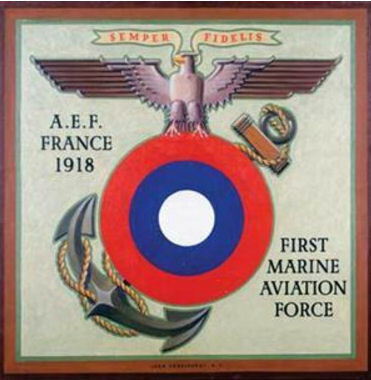 The first all-Marine air combat mission in Marine Corps history was a bombing raid carried out on the morning of 14 October 1918 by Squadron "C" of the First Marine Aviation Force from the La Fresne aerodrome, France, during World War I. 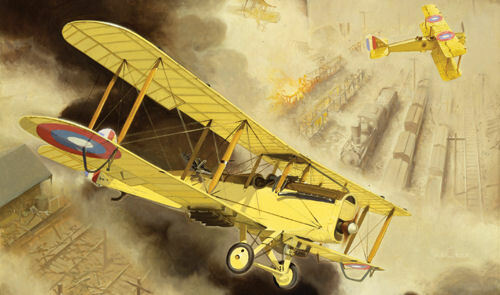 A composite flight of five DH-4s and three DH-9As led by Captain Robert S. Lytle, USMC, attacked a German-held railway junction and yards at Thielt, Belgium, and dropped 2,218 pounds of bombs. The designated target was bombed without incident. On the return flight the eight Marine De Haviland bombers were intercepted by a mixed formation of 12 enemy fighter planes made up of eight Fokker D-VIIs and four Pfalz D-IIIs. As they approached the bombers head on, the enemy fighter formation split into two elements, four fighters coming on the right side of the bomber formation bent on taking out the lead bomber. The eight other fighters swept on the bombers' left determined to cut out a Marine aircraft and then by concentration to destroy it. Captain Lytle sized up the situation and signaled his pilots to tighten up the battle formation. When this was accomplished the observers brought their guns to bear on the nearest enemy plane and opened fire as soon as it came within range. 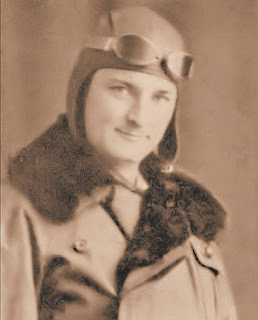 Lytle signaled his observer, Sergeant Amil Wiman, to fire on the enemy foursome on the right flank, and as the leading German fighter cut in under their wing at about 400 yards range and 150 feet below, Wiman expended about 25 rounds at this plane. His aim was good because the German was forced to change position immediately. He dived out of range. A second fighter came closer and attacked the Lytle-Wiman DH-4 under its tail at a range of about 200 yards and hitting the wings and center section of their plane. Wiman emptied his ammunition drum at this German plane and it went down, apparently out of control. At the same time the eight enemy fighters on the left flank closed in on Marine aircraft No. D-1, piloted by Second Lieutenant Ralph Talbot with Corporal Robert G. Robinson as observer. 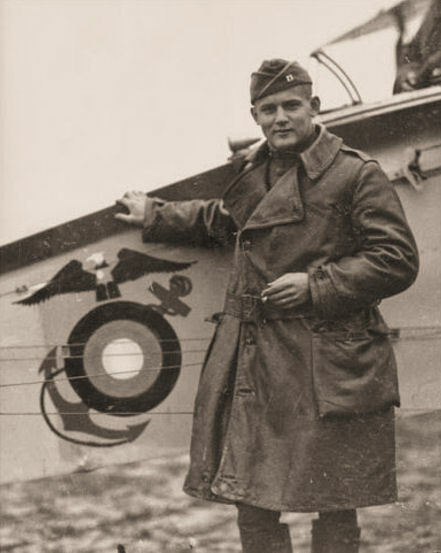 Robinson, who was a crack aerial gunner, withheld fire until he filled the sights, squeezed out several bursts, and brought down the nearest enemy plane. During this air battle two German fighters moved into position beneath the Talbot-Robinson DH-4's tail and suddenly attacked them from below. In the first few moments of this encounter a German bullet shattered Robinson's left elbow. Then his machine gun jammed. Talbot moved away from the fighter planes to enable the wounded Robinson to clear the stoppage, and then they returned to the fray. Notwithstanding, even though his left arm was useless, Robinson continued firing until he collapsed after receiving two more bullet wounds, one in the stomach and one in the thigh. Talbot whipped the DH-4 around and with his front gun shot down a second German fighter. Following this he dived his aircraft toward the ground to escape the balance of the enemy and crossed the German trenches at an altitude of about 50 feet, landing at Hondschoote, a Belgian aerodrome, where the wounded Robinson was rushed to a field hospital. Robinson eventually recovered, but Talbot was killed in a test flight crash on 25 October 1918. For extraordinary heroism in this action, and an accumulation of other daring deeds, both Talbot and Robinson were awarded the Medal of Honor. But to return to the proceedings between the 12 enemy fighters and the seven Marine bombers. Noticing that Talbot and the badly wounded Robinson were having trouble, Lytle attempted maneuvering the bombers to aid them, but at that desperate moment his engine conked out and he had to drop from the formation. One second the plane was in formation and the next it was gliding downward through the clouds. Feeling out his plane carefully, Lytle trimmed the DH-4B for her best gliding angle and kept the machine airborne in a long, sloping descent. Passing over the German lines, just below 1,000 feet [altitude], he encountered heavy enemy anti-aircraft and machine gun fire from the ground. He made a dead stick landing in front of a railway embankment used by the Belgians as a defense line near Pervyse. The plane did not crash, but bumped over the shell crated ground and came to rest on the edge of a large crater. Lytle and his observer climbed from their disabled machine. Neither was hurt. A group of Belgian soldiers scrambled over the railway embankment and manhandled the plane into the shell crater, out of sight of enemy observation. No sooner had this been accomplished than the Germans began shelling the area. The Belgians, followed by Lytle and his observer, ran to the safety of the dugouts in the back slope of the embankment. Lytle then reported his whereabouts to Squadron Headquarters from the Belgian lines by a field telephone call, ordering the air mechanics to come and pick up the disabled plane. The Thielt raid was an event of the first importance, for it was the first all-Marine air combat operation in Corps history. The activities of this flight have been narrated in some detail as a matter of historical record. For exceptionally meritorious service and extraordinary heroism while attached to Squadron C, 1st Marine Aviation Force, in France. 2d Lt. Talbot participated in numerous air raids into enemy territory. On 8 October 1918, while on such a raid, he was attacked by 9 enemy scouts, and in the fight that followed shot down an enemy plane. Also, on 14 October 1918, while on a raid over Pittem, Belgium, 2nd Lt. Talbot and another plane became detached from the formation on account of motor trouble and were attacked by 12 enemy scouts. During the severe fight that followed, his plane shot down 1 of the enemy scouts. His observer was shot through the elbow and his gun jammed. 2nd Lt. Talbot maneuvered to gain time for his observer to clear the jam with one hand, and then returned to the fight. The observer fought until shot twice, once in the stomach and once in the hip and then collapsed, 2nd Lt. Talbot attacked the nearest enemy scout with his front guns and shot him down. With his observer unconscious and his motor failing, he dived to escape the balance of the enemy and crossed the German trenches at an altitude of 50 feet, landing at the nearest hospital to leave his observer, and then returning to his aerodrome. 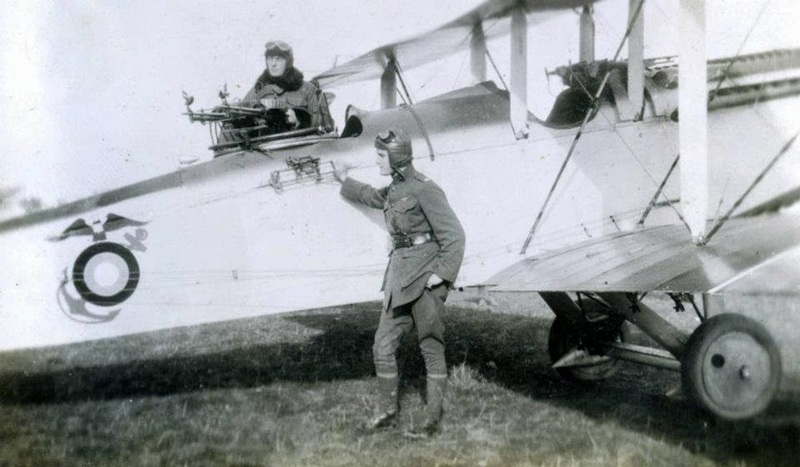 For extraordinary heroism as observer in the 1st Marine Aviation Force at the front in France. In company with planes from Squadron 218, Royal Air Force, conducting an air raid on 8 October 1918, Gunnery Sergeant Robinson's plane was attacked by nine enemy scouts. In the fight which followed, he shot down one of the enemy planes. In a later air raid over Pittem, Belgium, on 14 October 1918, his plane and one other became separated from their formation on account of motor trouble and were attacked by 12 enemy scouts. Acting with conspicuous gallantry and intrepidity in the fight which ensured, Gunnery Sergeant Robinson, after shooting down one of the enemy planes, was struck by a bullet which carried away most of his elbow. At the same time his gun jammed. While his pilot maneuvered for position, he cleared the jam with one hand and returned to the fight. Although his left arm was useless, he fought off the enemy scouts until he collapsed after receiving two more bullet wounds, one in the stomach and one in the thigh. 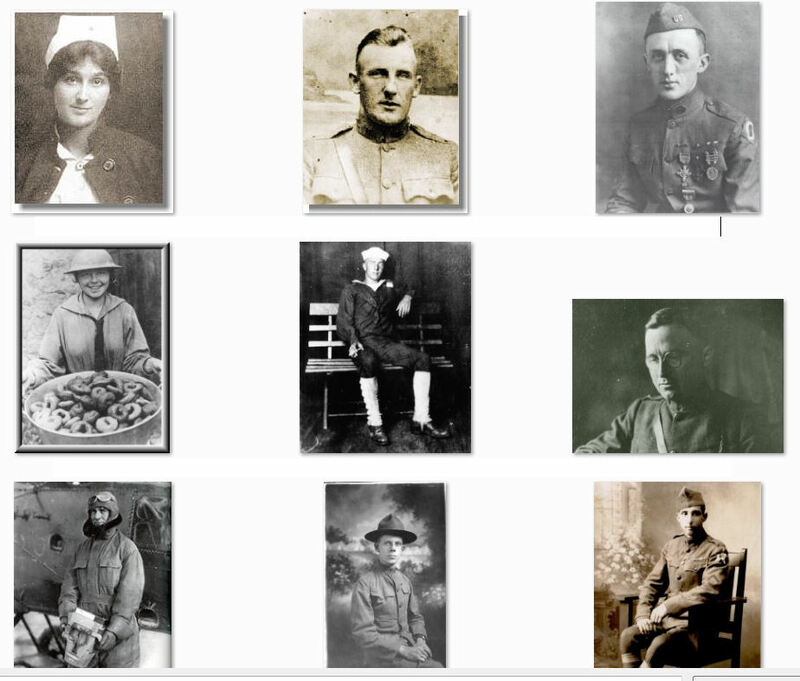 One of the first orders out of General Headquarters, American Expeditionary Forces (AEF), Paris, in 1917 was the use of identity tags by all members of the AEF. The tags, also called identity discs, were to be made of aluminum the size of silver half dollars with the information about the individual stamped on them. Two tags were issued to each soldier; in the event of death, one tag was left with the body in burial and the other tag was to be removed and sent to the Chief of the Burial Department. World War I was the first time identity discs were issued on a grand scale and by general order of the headquarters. Each soldier was to be assigned a service number. It was a part of his official designation, never changed and never reassigned to another soldier. Along with the number, the early discs were stamped with the name, rank, company, and regiment. A later change to the identity tags eliminated all unit references for security reasons, especially for soldiers near or in the front lines. This was done to give less information to the enemy if the soldier was captured. On request by the wearer, the letter C, H, or P (standing for Catholic, Hebrew, or Protestant) could be added. The discs were worn on a cord around the neck. Alternatively, the Navy generally used an oval tag on a wrist chain. The term “dog tag” for identity discs came into general use after World War I.